Coppers The Musical has added extra dates due to popular demand | SHEmazing! Good news for fans of Coppers. 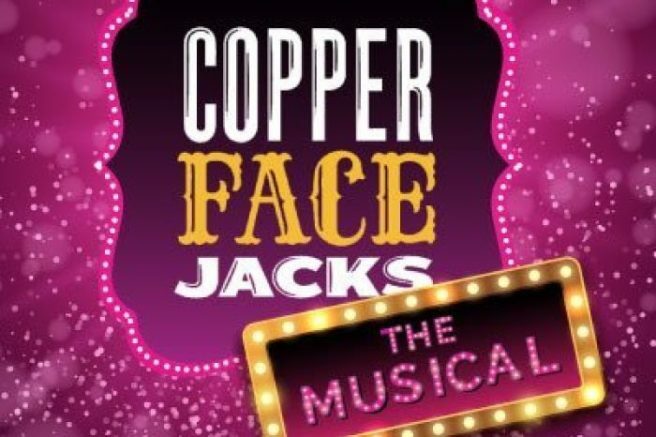 The fantastic Copper Face Jacks The Musical has added another couple of dates due to popular demand. So if you didn't see it the first time round, you're in luck. It's a musical that just got us – because it's so relatable and sure who hasn't been to Coppers? It toured around Ireland in the summer of 2018, and was met with rave reviews. And now it's hitting the stage again. In a press release announcing the comeback, it said, ''Packed full of craic, huge laughs, culchies, Dubs, lots of shifting and a stellar cast, COPPER FACE JACKS: THE MUSICAL is set to be the smash hit of the summer all over again as extra dates have just been added due to phenomenal public demand." The show will be in the Olympia Theatre from July 10 and will run until 10 August 2019. Tickets are going from €26 (plus booking fee and €1 restoration levy) for the extra dates and they are on sale NOW. Nab a ticket at Ticketmaster outlets nationwide or here.